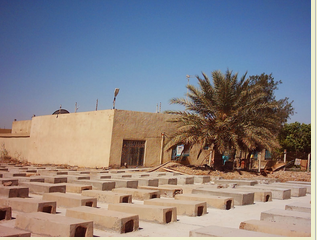 Update: Click here to see the photos taken in the Sadr City Jewish cemetery. If you run your mouse over a particular photo, you will be able to see the name of the person buried in that grave. A catalogue of 150 identified graves in the Jewish cemetery in Baghdad is to be uploaded onto the website of the Montreal Spanish and Portuguese congregation. Kaddish and a Hashkaba (prayers for the dead) will be recited on 24 November 2018 at the synagogue. The project began when a member of the congregation, Sass Peress, collaborated with a kind-hearted Muslim to find and clean up the grave of Sass's grandfather, Sassoon Moshi Peress. The clean-up continued. Before the operation was halted, 150 graves out of a total of 4,000 had been cleaned. Montreal historian Sami Sourani identified the names of the dead and translated the epitaphs into English. The cemetery replaced the main Baghdad cemetery, which dated back to 1642. 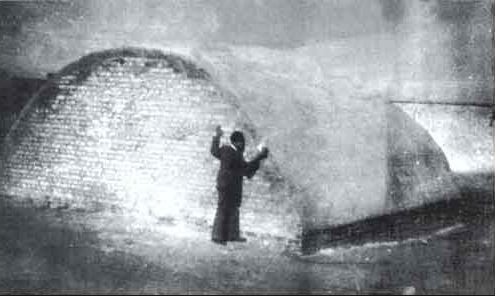 Following the great exodus of Iraqi Jews of 1950/51, the Iraqi government decided to demolish the original cemetery. The order was signed by the Prime Minister of the time, Nuri al-Said. Al-Said was murdered in the 1958 revolution, led by General Kassem. Community leader Rabbi Sasson Khedouri pleaded with General Kassem to cancel the order, but Kassem refused. He gave the community two weeks to remove the remains to a new site. The community disinterred the remains of some dignitaries and community leaders, and exhumed from their graves the relatives of families still living in Iraq. The rest of the graves were bulldozed by government tractors. They also demolished the mass grave of the victims of the Farhud, the pogrom of 1-2 June 1941.